The spindle models UASD-H25A and ASD-H25A fulfill all the requirements for a high-quality tool spindle in order to produce high-precision parts with an optical surface finish. 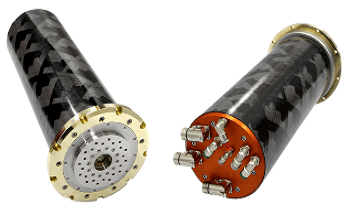 They combine robustness and CNC functionality with high spindle speeds for micro machining and low errors in shaft motion for the machining of optical components. Both models are available with an automatic spring-less HSK-E25 tool clamping, a highly efficient thin-film liquid cooling, tool clamp status monitoring, a high resolution rotary encoder and a robust steel housing with common and standardized diameters. If employed in CNC machine tools the user gets exceptional precision, speed and thermal stability, but for the first time ever the ability to develop parts with an optical surface finish. In contrast, for ultra-precision machining the UASD-H25A and ASD-H25A now enables significantly increased chip loads and an automated tool change in order to increase productivity at an ultra-precision level. 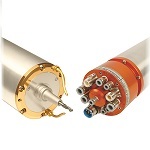 Both models are also available with axial spindle connectors (UASD-H25A and ASD-H25A). 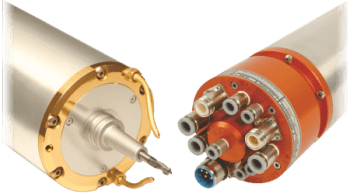 Spindle models with radial spindle connectors provide a better serviceability and value for price, but otherwise the same performance, stability and accuracy. The patented aerostatic bearing system of UASD-H25A and UASD-H25 type spindles with their capillary orifices technology has specially been designed and manufactured for use with a supply pressure of 20-30 bar. 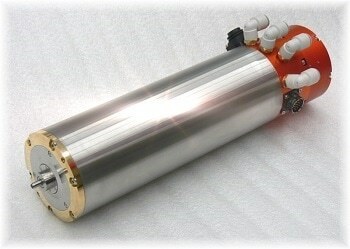 The result is an increase of almost 300% in load capacity at the spindle nose, when compared to the traditional models. The new axial bearing and bearing orifice design decrease the air consumption considerably to offer economic operation even at the higher supply pressures and exceptionally increased robustness. 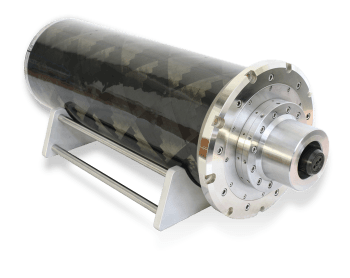 An alternative air compressor to the machines standard may be needed in order to operate UASD-x models.